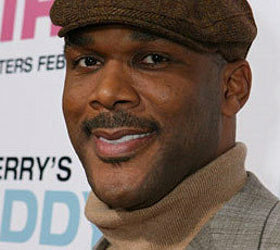 Tyler Perry is very famous and wealthy. He’s friends with Will Smith and Oprah. He has been in 17 movies since 2005. However, 7 of those movies he was dressed as crazy old Lady, so is it worth it? Tyler Perry isn’t for me. His movies don’t interest me in the least bit. He kind of creeps me out just looking at him, and thinking about how he spends a lot of time playing an old woman puts it over the edge. A note on Wikipedia I found interesting says “almost all of the Madea’s earnings have been generated in the United States.” I dont know how accurate or even how often something like that occurs, but what it says to me is America is in trouble. Then again, I used American money to purchase a DVD copy of Benchwarmers, so what do I know. This entry was posted in Celebrity Steesh, Movie Steesh and tagged benchwarmers, entertainment, Humor, madea, Moustache, Movies, mustache, old woman, Oprah, tyler perry, wikipedia, will smith on October 23, 2012 by Los Bulls.